Within bulk materials handling--particularly aggregate processing operations--the importance of minimizing downtime can never be underestimated. Every minute, hour, and day of unscheduled downtime translates to lost profitability and money down the drain. Screen cleaning is a vital production process and has been identified as a key area of routine maintenance and monitoring for processing plants to achieve optimal productivity and long-term viability. 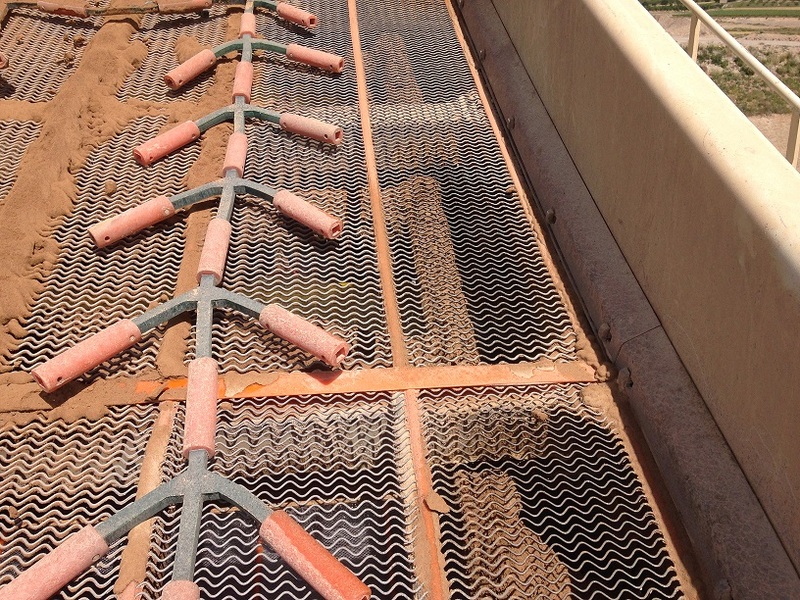 Vibrating mesh screens can be exposed to frequent “build up or blinding,” moisture accumulation within mesh, means product gets stuck and fails to progress through to the next step in the production process. Neglect and failures by site operational personnel in keeping screen meshes clean, slowly but surely becomes a recipe for disaster. It’s not a matter of whether blinding will take place, but when. With the potential to halt the screening process, worst case affecting the site’s productivity becoming reality. Screen mesh blinding problems are very common, in more detail the art of blinding occurs when fine particles find themselves settling and becoming trapped inside the screen mesh holes, restricting other fine particles from passing through. Kinder Australia’s conveyor componentry range also includes screening media targeting the aggregate and mining industries. K-deblinding rods act as the secret weapon for keeping bulk materials flowing during the screening process. Featuring elastic polyurethane rods that are fixed to the screen, this type of screening media takes advantage of the machine’s vibration to move and bounce on the surface of the mesh, avoiding particles wedging and blinding screen. To avoid tangling of separated K-deblinding rods, they are joined using separators according to the number of mobile rods.